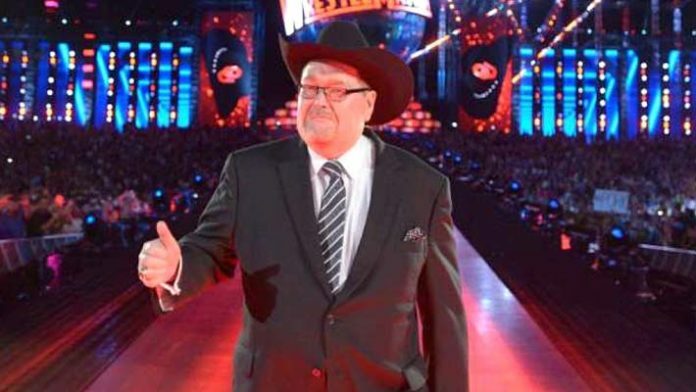 WWE Hall Of Famer Jim Ross is confused by WWE’s portrayal of Brock Lesnar as he approaches SummerSlam. “The Beast” will defend his Universal Title against Roman Reigns from the Barclays Center in Brooklyn, New York on August 19th. Last week on RAW, Lesnar ran rampant on the program by attacking General Manager Kurt Angle. He even put his hands on his longtime advocate Paul Heyman. WWE has been portraying Lesnar as someone who doesn’t care about the WWE fans, business or title. The fact that Lesnar is set to return to the UFC soon also feeds into that narrative. “In hindsight it’s easier for us all to judge, myself included. Everybody likes to be a Monday morning quarterback and since we are recording this on Monday morning… It’s quarterback time. “I would not have taken that approach, I do not believe in doing a negative sell, I just don’t think you get anything out of it, I think it’s the wrong kinds of emotions that you are attempting to create.